"Let’s have some fun! 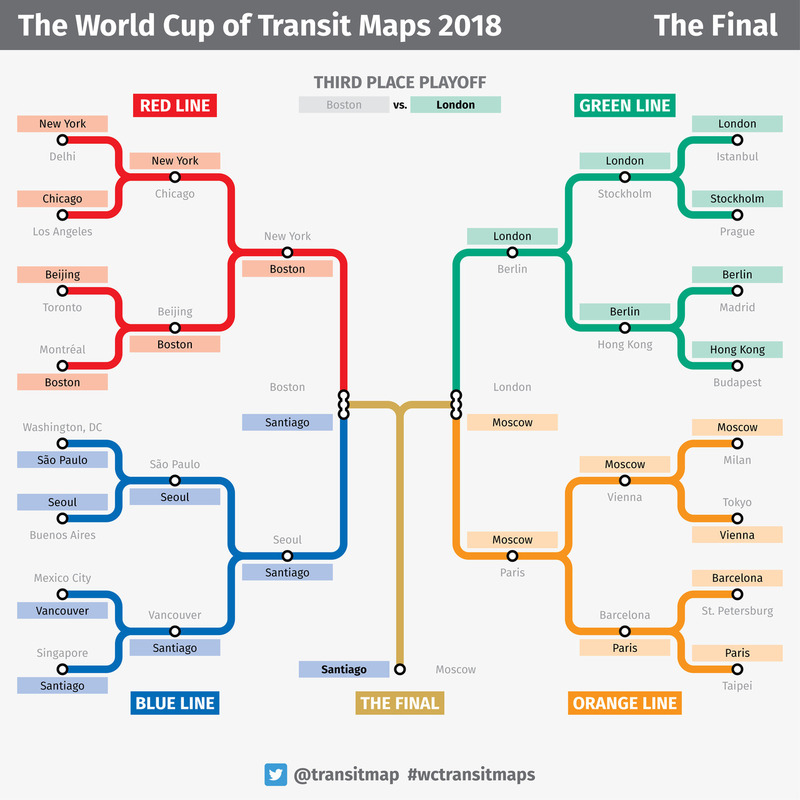 Presented here are 32 cities from around the world (12 from the Americas, 12 from Europe and 8 from Asia), representing a wide range of rail-based rapid transit map design. They’re arranged into four groups of eight: the Red and Blue Lines contain cities from the Americas, while the Green and Orange Lines are comprised of European cities. 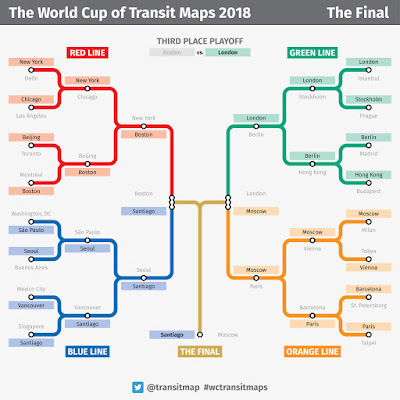 The 8 Asian cities have been spread evenly across the four groups and seeded so that they can’t knock each other out before the quarter finals (if they make it that far!). The mechanics are simple: it’s a straight knock-out tournament. Win your match and you’re through to the next round. Lose and you’re out. ..."